Sports broadcaster and former college athletic administrator Nate Clayberg, discuss the challenges and successes that student-athletes have following beyond sport. The transitions from an identity as an athlete to workplace professional can be hard to navigate for many. The show includes current and former collegiate athletes, coaches and ADs, plus experts in the field of leadership and careers. Lee Cockerell spent 10 years leading 40,000 Cast Members at the Walt Disney World Resort. He oversaw resort operations for the four theme parks, 2 water parks, shopping and restaurant areas, 20 resort hotels, 2 water parks and ESPN's Wide World of Sports complex. Although not a college athlete, his son Daniel competed for Boston University and his granddaughter turned down a number of offers to play collegiate soccer in favor of pursuing her own CareerAdventure. Lee is very familiar with the life of a student-athlete, and in the podcast, we discuss how valuable time management, professional networking, asking questions and gaining professional experience can be in building a life beyond sport. In this episode we visit with Lee about his CareerAdventure. From ordering the wrong melons and not knowing avacados needed time to ripen before being prepared. He has hired, fired and developed talent all over the world. And loves the quality and characteristics that student-athletes embody. @NateClayberg & @AdamViet talk about choosing that major when it may be too late to know if it's the right choice, if not you could end up in a Quarter-Life Crisis. Research, Plan and Win! Preparing for life after the game is not just about finding a career path. You can't forget theb soft skills it takes to succeed too. Just because you don't know how to be professional is no excuse. 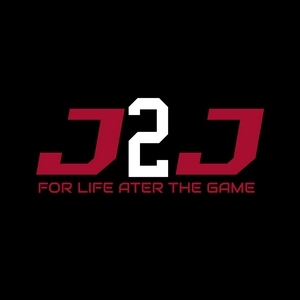 J2J co-founder Adam Viet, former Northern Iowa basketball alum turned IT recruiter gets the honor as guest #1. From undecided major to health club intern and a stint in insurance. Athletes need help. Episode 8. Just as in athletics, a rise to the top in a career isn't easy either. When you ask a CEO what they wish they knew in high school, answer is consultant. "I wish I knew more about a career." Michigan has opportunities for so many. Nate took advantage of his involvement in NEXT to visit UM's MPACT program. More confirmation of the need for genuine workforce pipeline programs like J2J. Student athletes have access to a huge network. Whether they know it or not. That can be mistake number one. The window gets smaller after graduation. E5: Don't just do what you do. Students follow passion with majors and jobs based on what they are interested in. Sometimes that is sports music or theater. Doing what they are going to do, is something they may not even know yet. Student athletes are ideal candidates to fill career roles in the workforce. Effective customer service will build us trust to connect their pathway to success in Life After the Game. 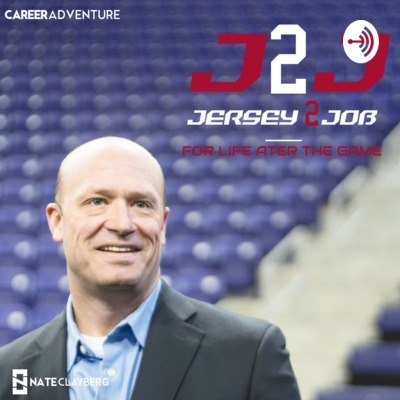 Episode 3: A little more insight to the what and why for launching Jersey2Job. It is a workforce development program that is designed to better integrate coachable people into purposeful lives. E2: What do you want to be? We ask scholastic athletes about their activities, but tend to lose sight on their interests beyond sports. Help the cause, ask them "what do you want be when you grow up." College student athletes know they want to compete in sports. But do they know what they will have for a job when their eligibility runs out. Jersey2Job is designed to help reverse engineer a path.